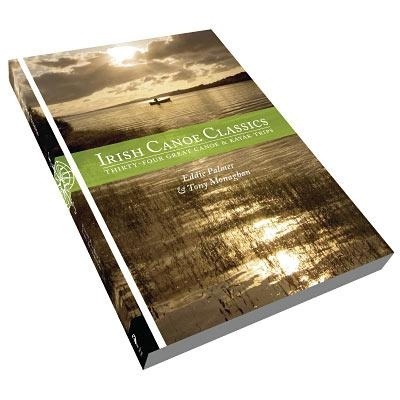 CanoeNI.com give their thoughts on the recently published guide book Irish Canoe Classics .. Thirty Four Great Canoe & Kayak Trips. The canoeing community (especially in Northern Ireland) is quite small so we had heard on the grape vine that Eddie Palmer and Tony Monaghan were out and about in Ireland researching and writing this book for Pesda Press. So as official developers and promoters of Northern Ireland’s Canoe Trails you can imagine how keen we were to get our hands on a copy to see how the trails measured up. Pesda Press has previously published the highly rated ‘Scottish Canoe Classics’ and ‘Welsh Sea Kayaking’ and there is no doubt that this will be come a welcome addition to any avid canoeist’s coffee table or book shelf. The authors admit that the book is ‘…a simple and practical guide…’ and ‘…is not a comprehensive guide to all waterways…’ We most definitely appreciate this challenge having produced waterproof trail guides to accompany our trails. It is real challenge to provide detail in print format because fundamentally details change on a regular basis – hence we have focused on providing detail in a web format. There is enough information to inspire you to get out and make the next step; great overview maps, shuttle info, hazards, portages and route descriptions. The paperback book is not designed to bring out of the water with you but it is designed to get you out of the house and explore new places. We are delighted with the coverage of Northern Ireland’s Canoe Trails. Each of the canoe trails – Lough Erne, Lough Neagh, River Blackwater, Lower Bann and Strangford Lough are portrayed with great accuracy. They also provide some welcome additions to the Lough Erne Canoe Trail with trips along the River Erne from Lough Gowna to Belturbet and along the Woodford River from Leitrim to Crom. All in all a great inspirational book, long overdue in Ireland – it knows exactly what it is trying to be and performs the function perfectly. We hope you enjoy many long days on the water as a result this book. 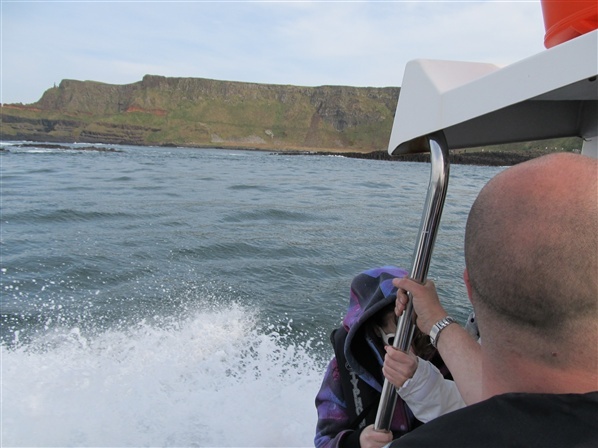 OutdoorNI.com Does Causeway Coast Sea Safari is the latest in our regular blog feature ‘OutdoorNI.com does…’ which is our opportunity to showcase the exciting outdoor activities available in Northern Ireland. I’ve spent quite a bit of time on the North Coast over the past few years either walking the Causeway Coast Way or cycling sections of the Larne to Ballyshannon long distance cycling route, hence I was really keen to see this stunning coastline from a completely different angle. My guide for the day was Richard Lafferty of Aquaholics, who met me and the rest of the excited passengers with a warm welcome at Ballycastle Marina. 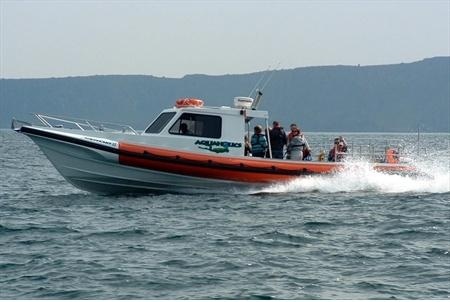 Within minutes we were fitted with life jackets and helped aboard the 11 metre boat which comfortably seated the 12 passengers. Both Richard’s great sense of humour and local knowledge became obvious as he outlined the plan for the next two hours – Kenbane Castle, Carrick-a-rede rope bridge, White Park Bay, the Giant’s Causeway, guillemots, shags, fulmars and maybe even a chance porpoise. As soon as we were clear of the marina walls it quickly became evident why this was called a high speed sea safari, the passengers grip tightened to white knuckles as the boat accelerated to about 30 knots (35mph). This may seem quite slow to those who have never experienced a high speed boat trip but I can assure you it is not. Despite the speed the boat is relatively comfortable as it bounces along the ocean waves, there are softer seats inside the cabin but everybody was happy to sit outside and enjoy the excellent weather. The dominant cliffs at Fair Head quickly shrank into the distance as we headed went past Kenbane Castle en route to the famous Carrick-a-rede rope bridge. 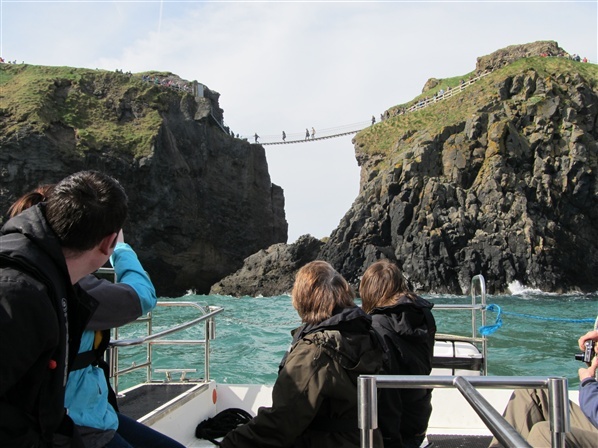 We certainly turned the heads of those high above, patiently waiting in queue to cross the rope bridge, Richard carefully maneuvered the boat to give us all the best photo opportunity whilst imparting his local knowledge. Having crossed the bridge many times I only actually appreciated how high it was looking up, to be honest I was never brave enough to look down. As we continued our high speed blast along the coast, I took the opportunity to chat to some of my fellow passengers each there for their own reasons. The wildlife lovers enjoyed the swooping guillemots, the budding historians marveled at the hidden stories, amateur geologists the rock formations and for some it was simply the speed, sun and spray. Port na Spaniagh was certainly my highlight, the headland had an eerie feel generated by the knowledge that nearly 1,300 sailors perished when the Spanish Galleon ‘Girona’ was swept onto the rocks in 1588. To the untrained eye it just looked like another headland but Richard was really able to bring the area to life. Not only was he able to explain how the tragedy occurred but also provided a wonderful an insight into sailors that survived, the treasure buried beneath and the extravagant Belgian diver Robert Sténuit who uncovered most of the gold in 1967. If only history lessons at school had been like this – it was much more Pirates of the Caribbean than text books and black boards. The trip was billed as ‘…the only way to see the whole Giant’s Causeway’ and it certainly didn’t disappoint. To many the Giant’s Causeway is the short stretch of hexagonal rocks to which thousands of tourists flock each year, having been there a few times I have always returned home a little under whelmed. However the perspective from the boat shows it is so much more. As with any work of art it is important to step back to take time to appreciate it, something you can never do at the Giant’s Causeway as you are standing on it! Floating 100 metres off shore provided the perfect angle to encapsulate nature’s work of art including the Grand Causeway, the Chair, the Organ and the Amphitheatre! The two hours flew by, made so much more comfortable by the great weather which obviously can’t always be guaranteed but I’m sure the Aquaholics team could make up for that! Session duration: 2 hours. However longer trips can be arranged. Recommend ages 8 years and above, under 16's need to be accompanied with adult. The May Bank Holiday is fast approaching! So it is time to get out and enjoy Northern Ireland’s outdoors. 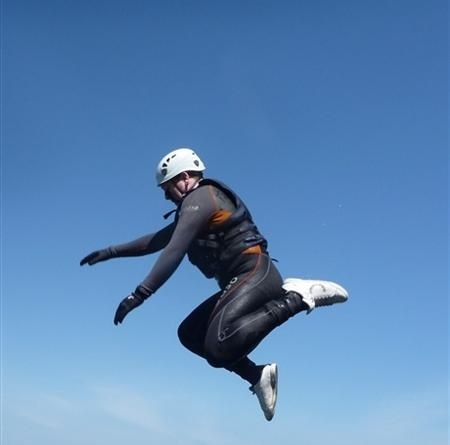 As if to mark the occasion the activity providers in Northern Ireland have gone all out – ensuring you are spoilt for choice. Whether you are looking for some family fun or just a bit of fun with your friends then it’s all there. No experience necessary – just a sense of adventure. Following much heated debate in the OutdoorNI.com office (after which we are just about on speaking terms again) we have complied our ‘Top Tips for May Bank Holiday Fun.’ But in truth we could write the list again and include 10 different tips so be sure to check out the events section. Forget the back garden, the games console or the cinema. Take the kids on a real family adventure. 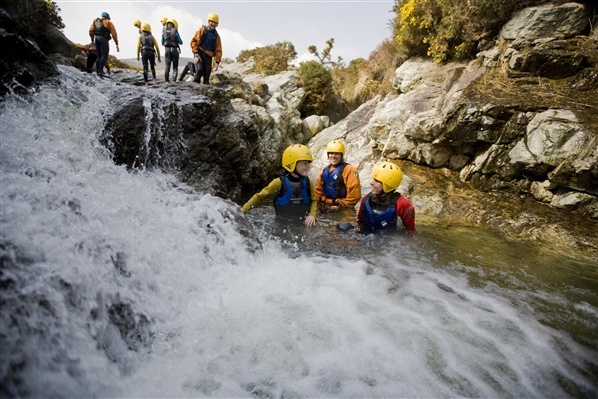 Jump into rock pools, slide down waterfalls and make your way up the river - the kids will love this great activity! You can guarantee plenty of splashing and there's no need to worry about the weather - you're going to get wet anyway! Have a fun day out trying a range of activities such as Canadian Canoeing, Archery and Orienteering. Watch Dad get red in the face, have a laugh at mum, encourage the little ones and capture the memories! Choose from archery, zip line climbing wall and laser tag. There is sure to be something to please even the fussiest family member. Do as little or as much as you like per 1 hour activity. Mum's and Dad's feel free to have a coffee and read the paper. Take on Northern Ireland’s only water park with three trampolines or test you mountain bike skills on the new pump track. Have a go at archery or scale the heights of a climbing wall. Enjoy pony games, party games, and a picnic. Remember to bring a few carrots for the ponies. Bring along a mate or three and enjoy an afternoon of adventure. Have a laugh as you try out some new and exciting activities. This action packed weekend break starts with a guided journey through extensive forest trails by mountain bike and discover loughs, mountains and ancient graves. After your packed lunch, take a canoe and discover the unspoilt beauty of Lough Macnean as you paddle home. Take on the Tree Top Adventure course - release your Inner Tarzan or Jane whilst swing through the trees suspended 60ft above the forest floor! 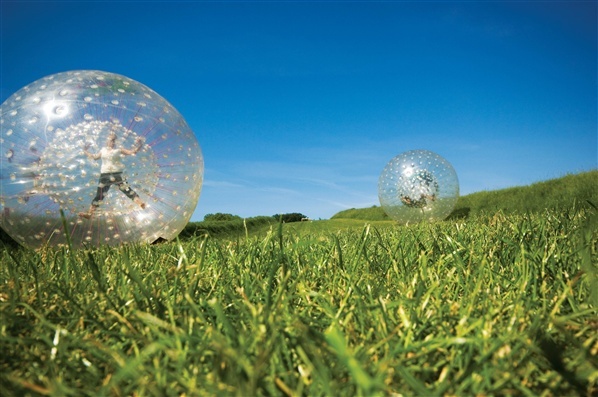 And if thats not enough excitement round the day off with a spin in a Zorbing ball. 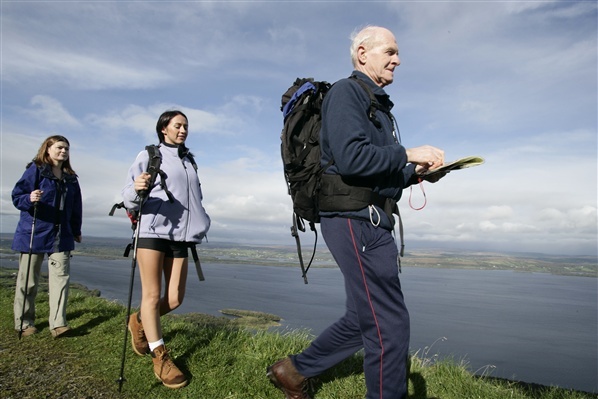 Northern Ireland is full of great walking opportunities over varied terrain. For those looking to walk 'off the beaten track', there are some great routes and trails available in mountainous regions such as the Sperrins and the Mourne Mountains. Check out our Walking Areas page for more information, route descriptions, images and maps for the most popular hill walking destinations in Northern Ireland. This summer there are a number of hill walking courses available designed to equip walkers with all the necessary preparation and navigation skills needed to walk with confidence in the hills. Below, WalkNI.com have outlined a few hill walking courses available in the Mourne Mountains during the next few months. This 2 day overnight course is suitable for complete beginners or those who want to improve and/or refresh established hill walking skills. The courses will teach the basics of planning and preparing for walks, including route choice, fitness and equipment choice. Participants will learn the basics of hill walking skills and methods of mountain navigation including map interpretation and compass techniques. The course will also cover the basics of mountain safety such as hazard awareness, avoidance and emergency procedures as well how to enjoy the natural environment responsibly using the principles of ‘Leave No Trace'. This evening course is suitable for anyone wanting to learn or boost their navigation skills for walking in mountainous terrain. Course ratios are small and tailored to the individual needs of participants. Topics covered will include grid system and references, map orientation, feature identification, understanding contours, what to do when lost, planning a safe walk and use of a compass. Ideal for either complete beginners or those who have tried hill walking before and wish to move to the next level. This course will cover the basics of planning and preparing for your walking trip including route choice, fitness and equipment choice as well as the basics of mountain safety such as hazard awareness, avoidance and emergency procedures. This course is for those who are interested in walking around Northern Ireland's beautiful mountains but have never felt comfortable using a map. This course will teach you how to navigate safely along with the skills needed to have an enjoyable day in the hills. If you are interested in walking around our beautiful mountains but have never felt comfortable about reading the map at night then this is the course for you. Have a go at practicing those navigation skills in the dark or low visibility, under the safe watchful eye of a qualified instructor. It is recommended that anybody walking in the hills has a basic knowledge of map reading and navigation and is aware of the basics of mountain safety. All the courses above will enable walkers to set off into the hills with complete confidence. It seems like kayak circumnavigators of Ireland are just like buses, you wait for ages for one and then two turn up! 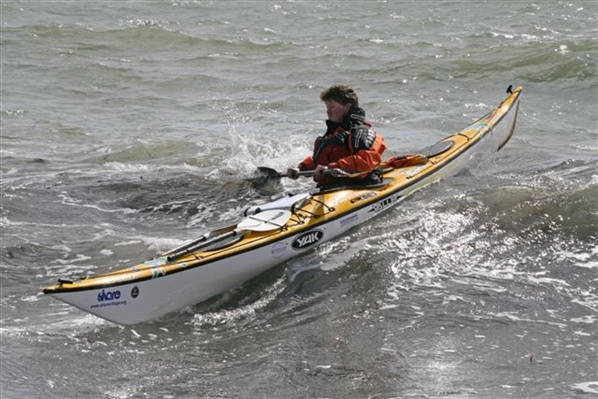 Following our recent coverage of Elaine ‘Shooter’ Alexander’s challenge to become the first Northern Irish woman to circumnavigate Ireland by kayak we have come across another pair trying to break the Irish kayaking circumnavigation record. Whilst Elaine has captured the attention of the local media, Jeff Allen and Harry Whelan have some what slipped under the radar. Perhaps this is because of the pace they are moving at. The duo are trying to break the long standing 33-day circumnavigation record set in 1990 by Mick O’Meara, Dermot Blount, Brian Fanning and Karl Heery. Currently they are en route to Dublin having made short work of Northern Ireland’s coastline paddling from Portrush to Carlingford in about 5 days. Today marks day 22 so with 11 more days to go they look odds on to break the record – but with a lot of water to cover I don’t think anybody will be placing bets just yet.